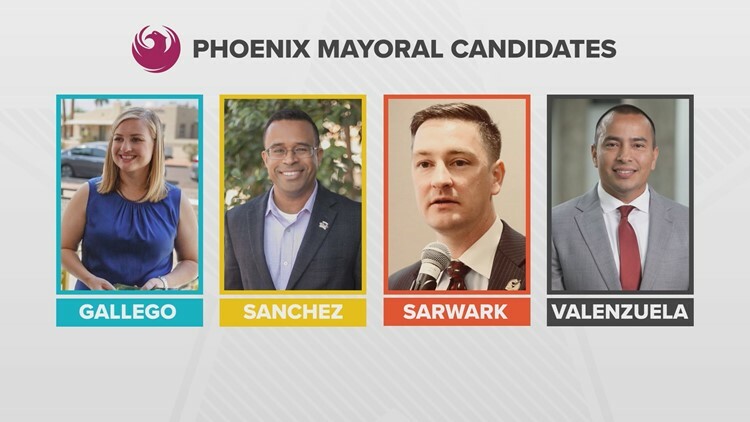 These are the Phoenix mayoral candidates. Here's a bit about the Phoenix mayoral candidates. They're vying to be the leader of the country's fifth largest city. Here's a bit about the people running for Phoenix mayor. Don't miss the Sandra Day O'Connor Institute Phoenix mayoral debate on 12 News Monday after the Emmys.